Affiliate manager interview with Per Thorn from Affiliate Saga. 1. Tell us about the Affiliates Saga casino affiliate program and how it works? Affiliate Saga is the official affiliate program for the new online casino CasinoSaga.com. The process is very simple where you just sign up and directly after you have signed up you will get an affiliate manager assigned instantly to you and contact information to your manager, both email and Skype. Our goal is to work very closely with all our affiliates to make sure we both have a good and profitable partnership together. 2. Tell us how the whole Casino Saga experience works for players. When you create an account at Casino Saga, you also start your journey towards the big evil boss Betser. When you play a normal casino game you will see a progress bar that fills up and that is how you travel in our saga. The more you play, the faster it goes towards the next boss. Each region has their own boss, and when you come to a new region you get the option to challenge the boss. All the boss games have been built by us. You fight against the boss and if you win, you collect his treasures. If you don’t manage to win against the boss, you will get thrown back and you have to play more to reach the boss again for a new try. 3. What have some of the players been saying about the casino so far? We have only been live for a couple of months, but we already have had a lot of great feedback. Players really enjoy that they get to experience something more when they play normal casino games. Another thing that our players also enjoy is our weekly creative promotions that players participate in as well, on top of everything else. This is something our players also enjoy – that we think outside the box to give them a richer experience. 4. What are the player incentives for joining the casino as well as retention? The big difference from our casino and others is that players always have a goal when they are playing, they are playing to reach the next boss and from that boss they can win over €1000 in bonus money and 100s of free spins – if they are lucky! Already after a few months our average depositing player deposited over €400 and 9,5 deposits. So this is a very good indication that players really want to reach next boss. Also like I mentioned above, we do a lot of creative promotions for our cusomters to get them back and to convert players that have not done a deposit yet. We try to do things differently. Like when it was World Cup and ”all” other casinos did promotions connected to World Cup, we instead celebrated a festival in Carlscity (which is a region). From this festival players that did a deposit collected extra free spins. We have also done crosswords with rewards for people that solved it and for the national day in Sweden all the Swedish players collected XP together to release as much ext a free spins as possible. XP, also known as Experience Points, is another thing our casino heroes collect during their journey. 5. For the affiliates you are currently working with, how is the conversion working for them? Our conversion has been very impressive so far. On affiliate traffic from Norway we are looking at a 70% conversion, in Sweden and Finland around 65%. Then rest of the world around 60%. The affiliates that has been with us from start is obviously very happy with this. Another thing that affiliates were very surprised about is how much revenue they earned already the first month of promoting us. Normally there is a lot of costs with welcome bonuses when an affiliate start promoting a new casino, but our player value have been so high directly so affiliates have been very happy from the start. Also, we only deduct for converted bonuses so if a player gets our welcome package and is not able to win anything, there are no bonus costs deducted from the affiliate. 6. You have created a unique saga experience for players, shouldn't there be the same experience for affiliates? After all it is Affiliate Saga. Actually, that is something that I have not had time to think about, but now when you say it. This is something that would be great to do. Create an affiliate island where our affiliate has their own journey based on revenue and NDC. So they can also reach bosses and get even more revenue if they manage to beat the bosses. Thank you for this idea, not sure my programmers will like this idea as much as I do :) 7. For those that haven't joined the program yet, why should they join and what can they expect in promoting Casino Saga? 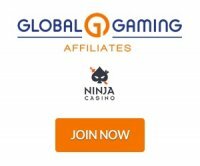 They will get a dedicated affiliate manager with over 10 years experience in this industry and a close relationship, to make it as profitable as possible for both parts. We have our whole adventure and journey for our players, but one thing that is important to remember when you work with us that the basics is always the most important for us: - Professional support - Fast withdrawals - Good retention These are the things that will keep our player value and keep our conversion high. All other things that we offer is to take both conversion and player value to the next step. Also, not to forget! They might get their own affiliate island as described above – sometime in the future! Join Affiliate Saga here or read the full review of the Affiliate Saga program.